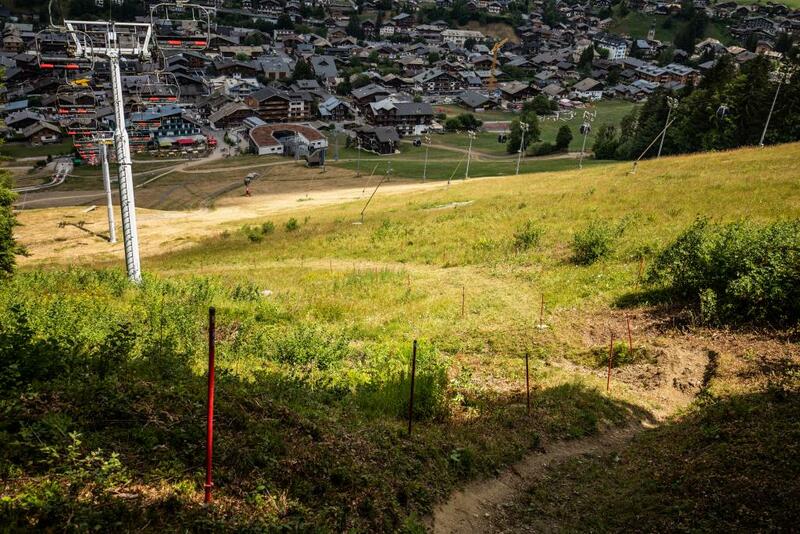 Will Morzine prove to be the fastest National Champs in the world? 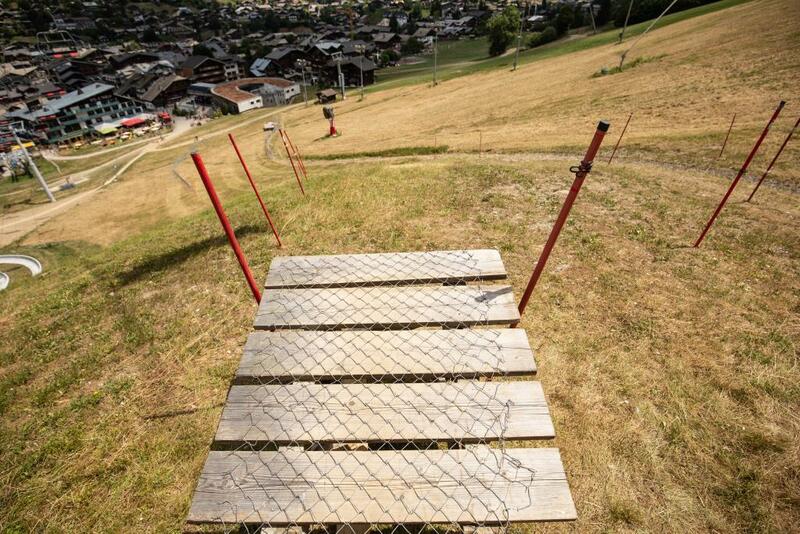 Morzine, Le Pleney 26-28th July, It's game time! 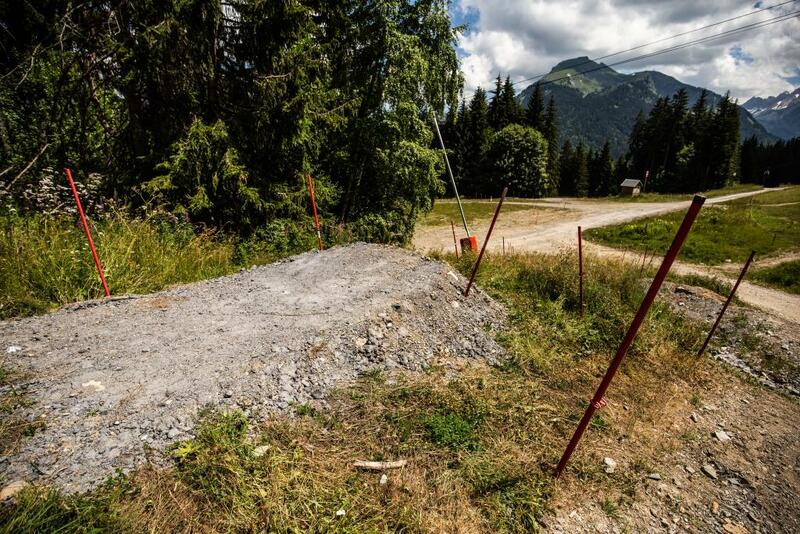 Europe and maybe the worlds most challenging, fun, rough, technical, steep and fastest hill to ride. 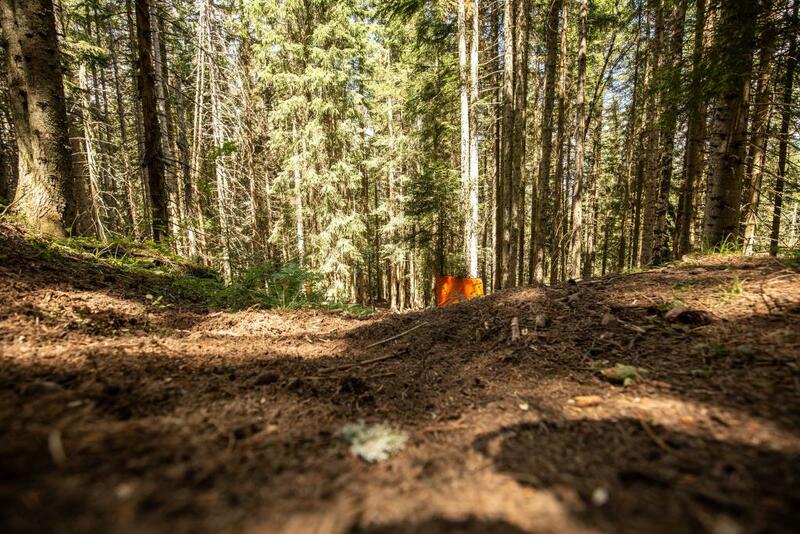 Though known for its black mainline run, Pleney keeps the worlds best coming back year on year due to its network of secret trails scattered throughout the hillside. At last count we made around 44 different trails, connecting old classics to new lines and back again. Linking these trails up is the best way to ride the hill. You'll never ride the same line twice, you'll get lost, you'll not know the name of the trail you're on (like variations on a martini most trails have developed several names depending on which local you talk to!) and you'll slide your way down most of them. This is the chosen location for the 2018 French National Championships. 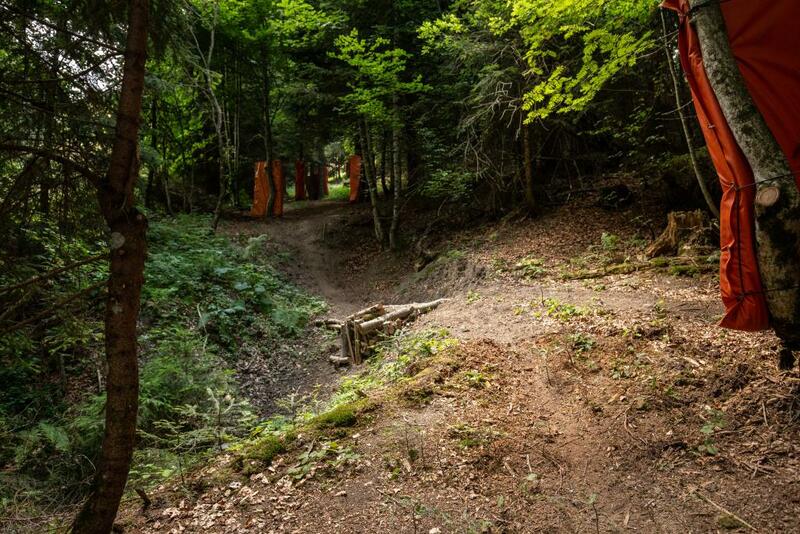 The chosen route encompasses exactly what Le Pleney is all about to those that know it. 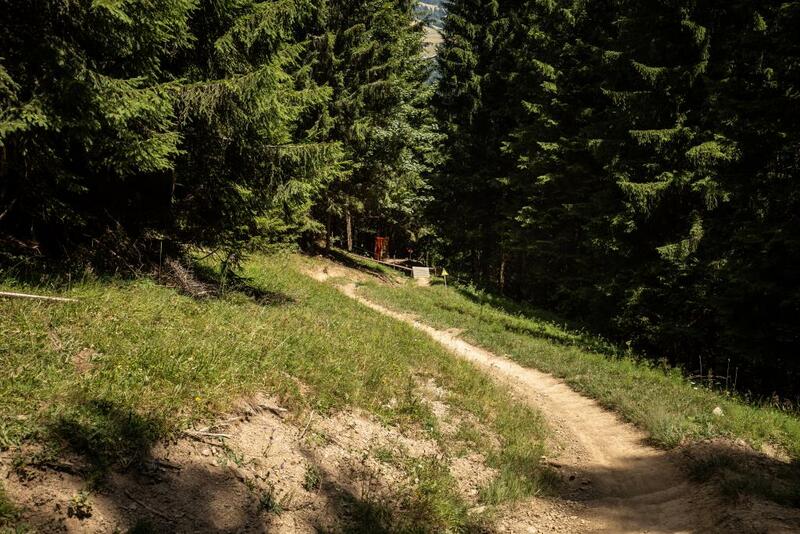 It's a mash up greatest hits of off piste single track, steep, rooty off cambers, steep chutes that spit you out into the open for a 2 second breather before diving back into the forest again. 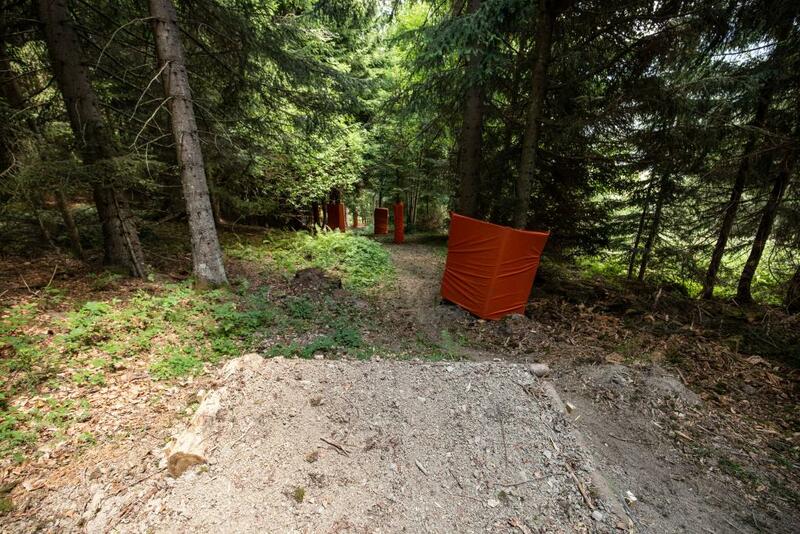 Parts of Mainline, the Red and the old Black trail that hasn't seen official action since 2011 will be used, including a classic French finish area that is all about flat out grassy turns, taped wide for maximum line choice. 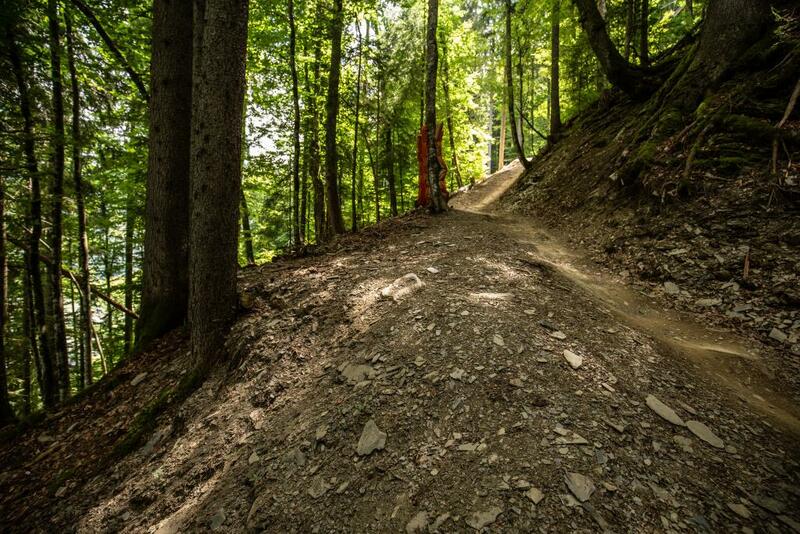 The track will definitely play to the strengths of the riders who can make a technical trail seem smooth. The tricky off camber sections at the start will be left completely raw. The tape and some crash mats will be the only thing added by man. 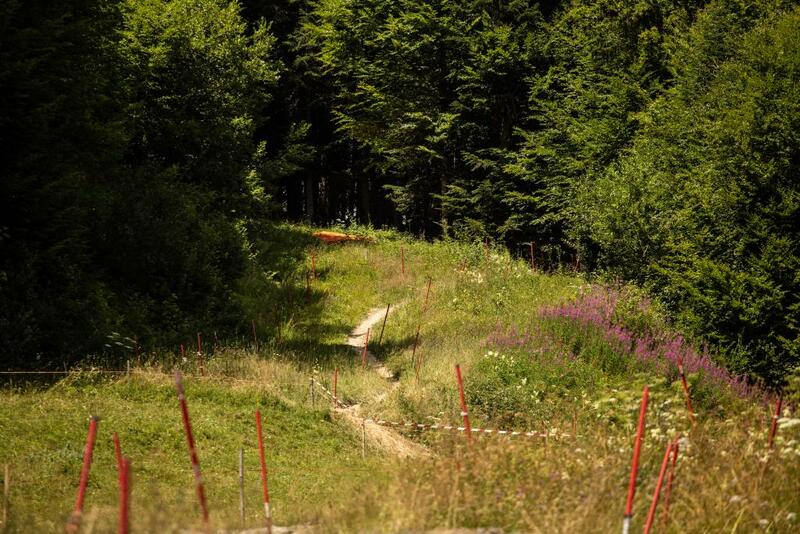 It's typical of the French style of race track, it's one of the things they are best at, some of the best World Cup and Crankworx tracks of recent years have been held in France. Nicolas Voullioz, Fabien Barel, Cedric Gracia, Mikael Pascal, Anne Caroline Chausson, have all fought over this highly contested prize, only the UK boasts a depth of talent as deep as France. Though as proven by the results on the world stage, the French know how to win races. Winning against your countrymen in front of home fans for the coveted sleeve on your jersey is something each and every young French sprog aspires to. 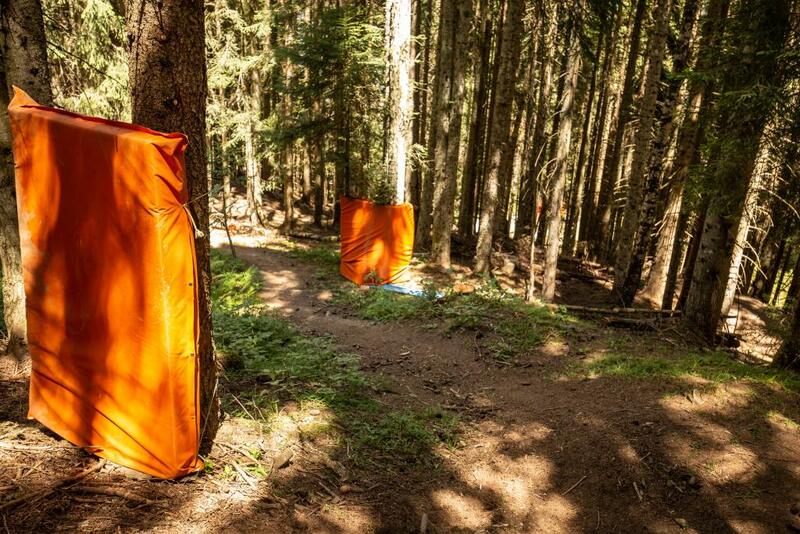 Big names such as Loic Bruni, Loris Vergier, Amaury Pierron, Remi Thirion, Miriam Nicole and Morganne Charre, will be competing for the crown this year. At the time of writing Nicole is out with an injury, which could give the other women a chance to claim the crown. The mens field is as tight as ever, especially with the astonishing rise of Amaury Pierron from promising youngster to World Cup winner. 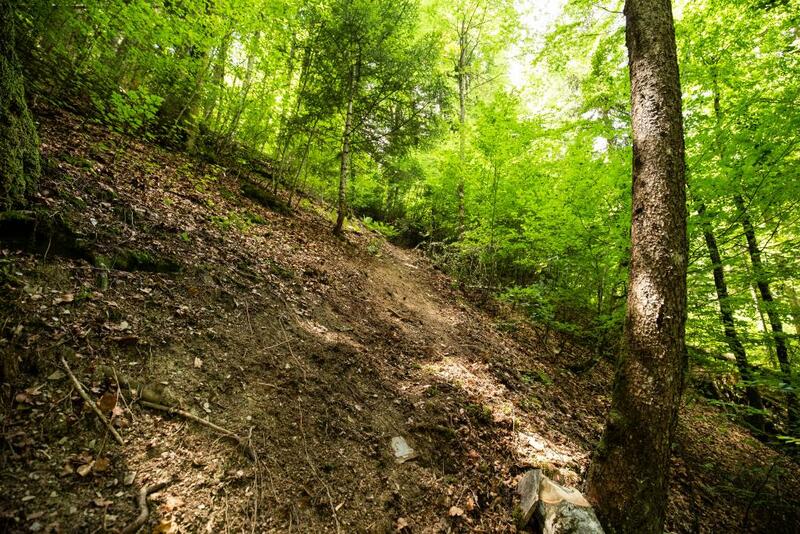 Starting from a purpose-built start ramp just to the left of Mainline, the trail cuts across the black run and almost immediately dives into the woods at the top. Somehow the trail builders (or directors at this point as all that's there is tape!) 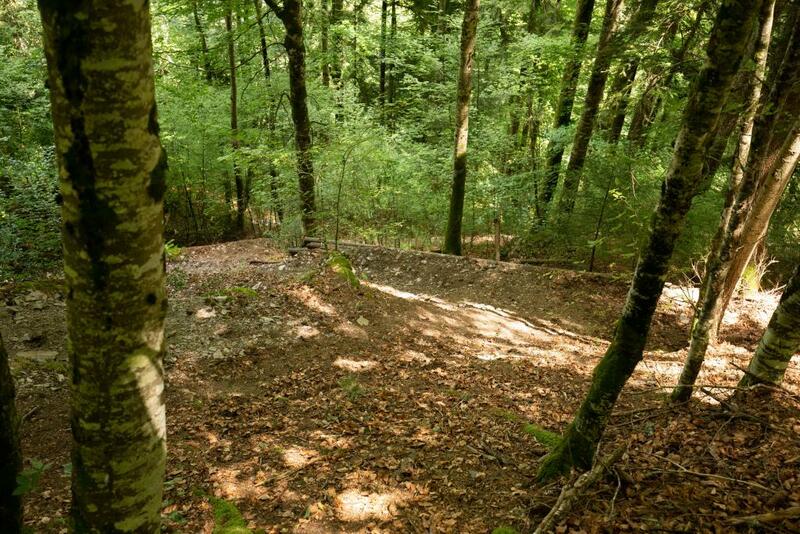 have found one of the only untapped loamy parts of the top wood section on Le Pleney, though this will no doubt be gone after the first 15 minutes of practice! 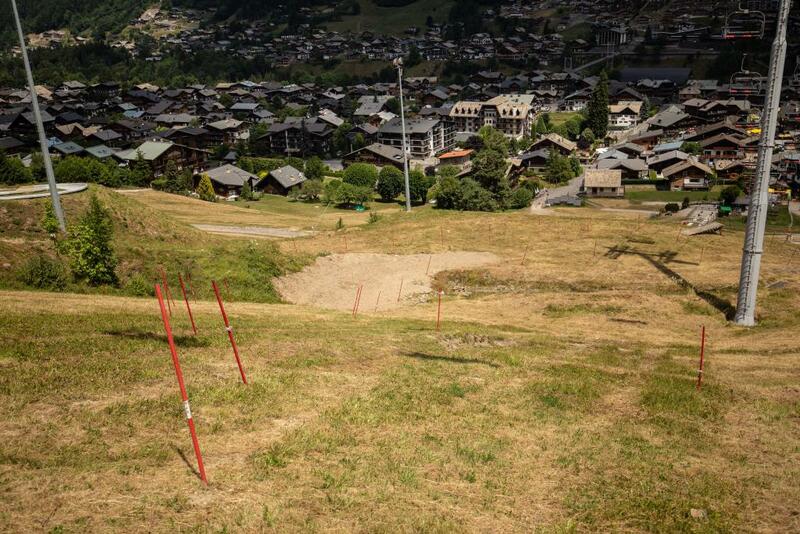 From here it will drop down into some classic Morzine singletrack, built by local legends in the last few years. 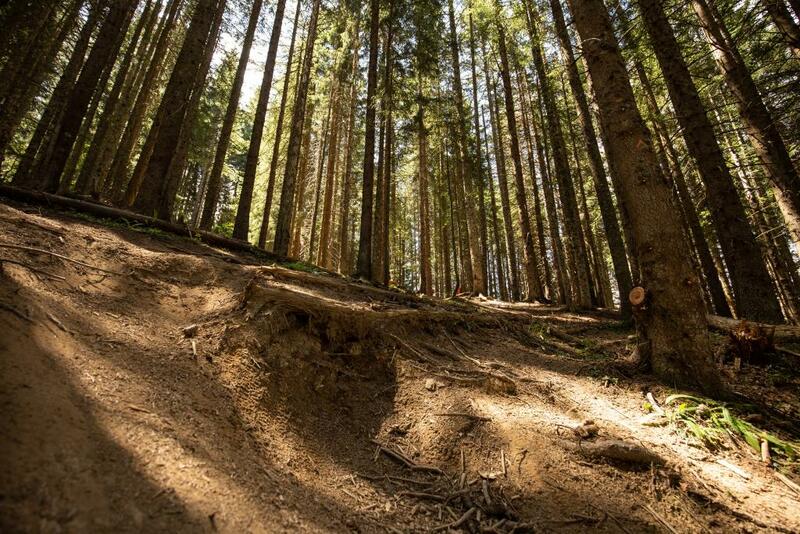 Classic Morzine ruts, rocks and roots will dominate and line choice will be paramount. If it does rain, this section of the hill will be fantastic fun, if a little bit of a slip and slide. The run will cross through another section of famous Pleney technical woodland, littered again with off camber roots and deep compressions. Breaking out of the woods and into the open, riders will get a brief rest of the arms before jumping into the woods again, for a relatively simple section of trail, a small man made step down, across the line of the red run and back into the woods for a small new section of fresh, powdery dirt. 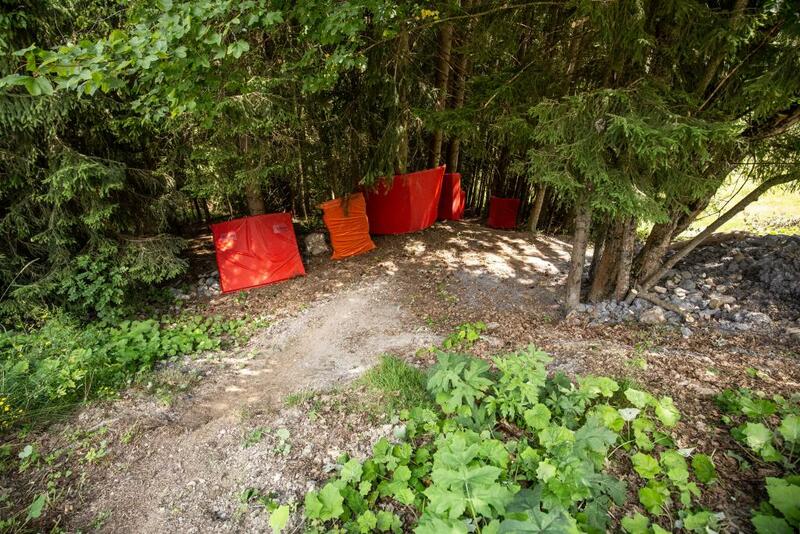 This small section of woodland has a simple entry, where riders will need to check their speed dropping into some freshly cut flat corners. A short straight with a small jump to flat sets up a tight, undulating part of the track, where track builders have added some features to keep the flow. It's going to be tricky to manage speed here, it's one of the slowest parts of the track. There are chicken lines installed around the gaps. This is unfortunately the only part of the track that cannot be ridden after the race. The landowner has given permission for the weekend only, fences will come back up. Fear not, it can be linked up again via the Red trail. Though at present the woods here are loamy and fresh, it won't last long. 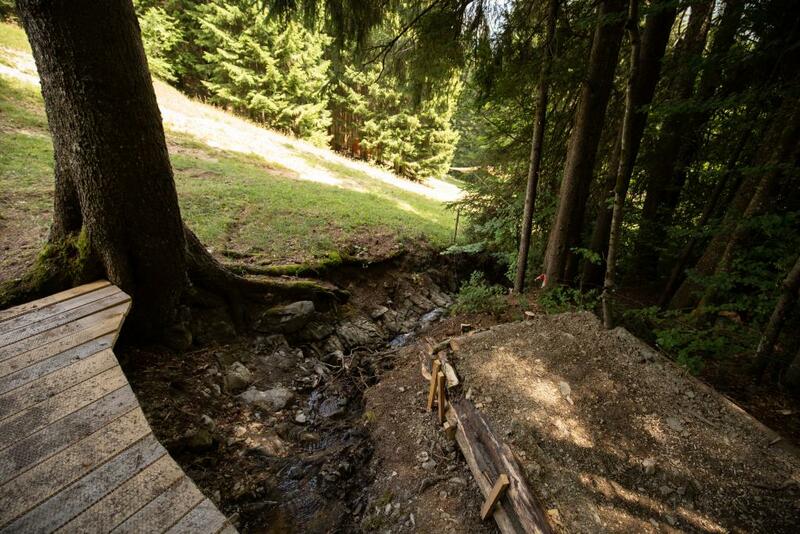 There is small step down to flat, followed by a large wooden bridge to small gap, to navigate a stream. Riders will jump onto a grass field and briefly join one of the fastest sections of the red trail, expect speed tucks and scrubs galore as the small jumps and high speeds will see the riders struggling to keep their wheels on the ground! 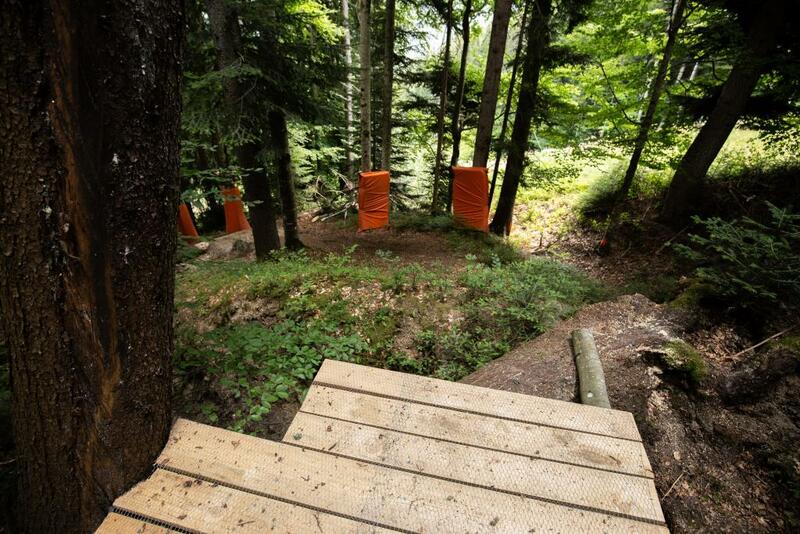 A sharp right-hand drop into three steep corners, built with catch berms and a really difficult off-camber due the slow entry speed riders will have a section to watch out for, mistakes will cost lots of time here. Heading directly down the mountain and under the chairlift usually used for the luge. 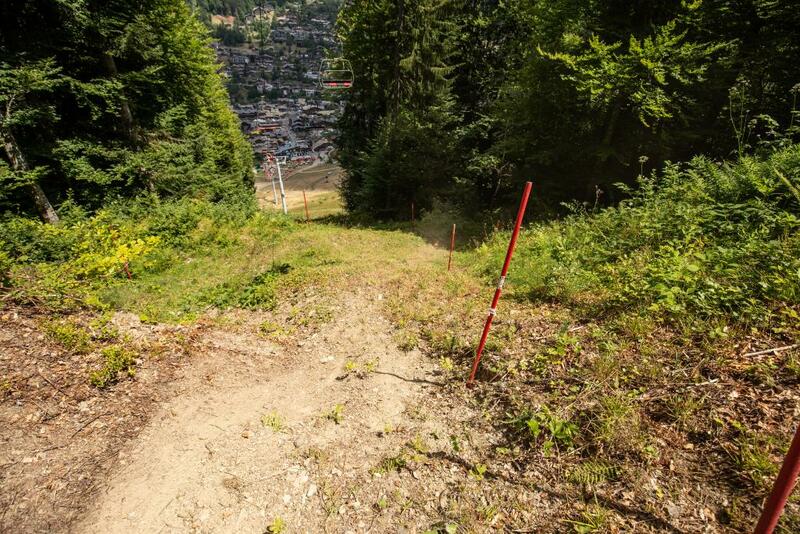 Here we will see one of the most spectacular and fast endings to a downhill race this year. The pitch of the hill at this point is really steep, poles and tape are the only things included keeping the riders on track! It's going to make for great viewing, if it rains the hill will be littered with bodies! These turns will be a perfect combination of old school fun and terrifying at the speeds the top athletes will be hitting them at. Expect a carnival atmosphere on these last corners. When the pointy end of the filed start to hit this section the noise will be incredible! 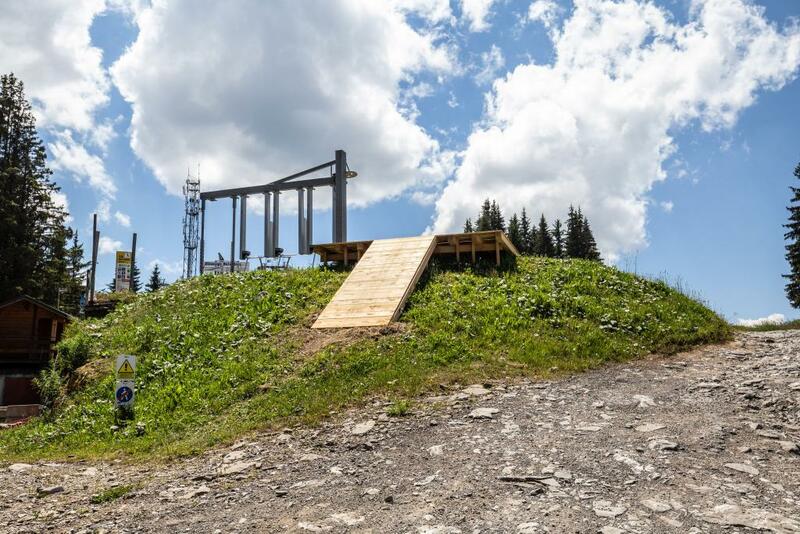 At the base of the hill, many of those having travelled to Morzine will have seen the plateau constructed at the base of the hill. This was used for a freestyle skiing event. 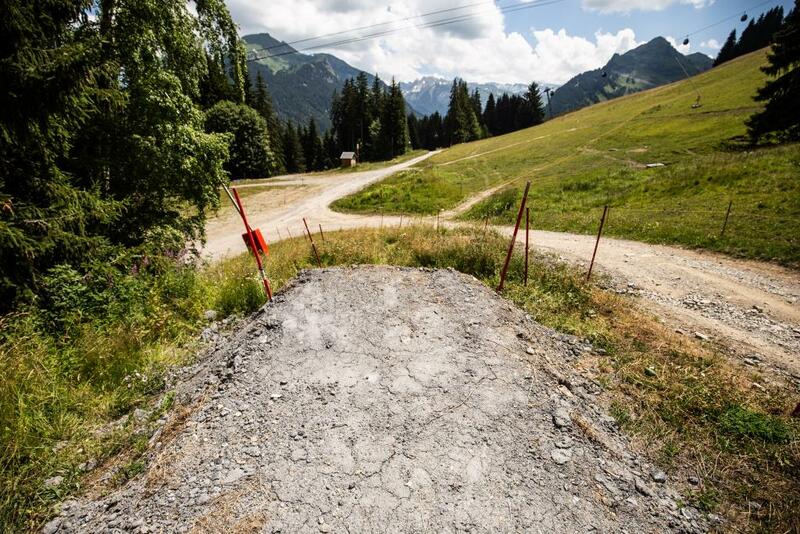 Now, it will be used for downhill racing's return to Morzine, with a large right-hand berm constructed to give riders the speed to launch themselves into the finish arena. 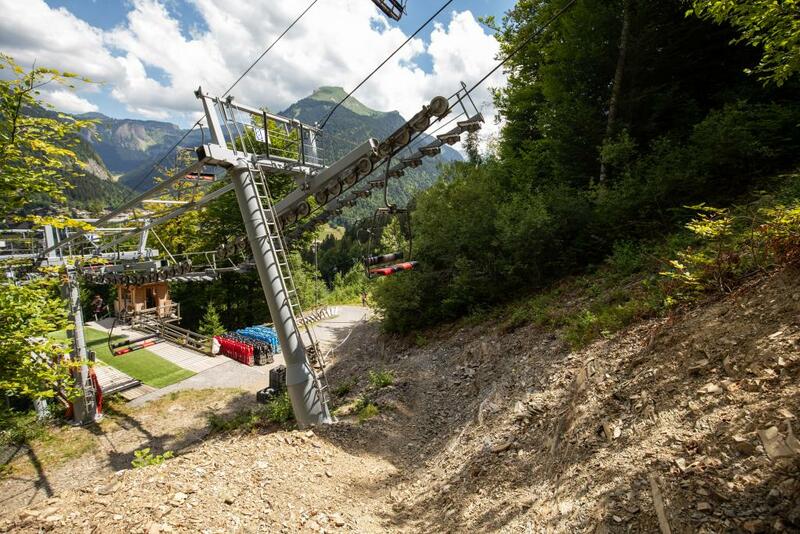 The bottom third of the track will be visible from the base of the lift station, it will be an incredible atmosphere! If there is one thing we know about the French it's that they love a bike race! 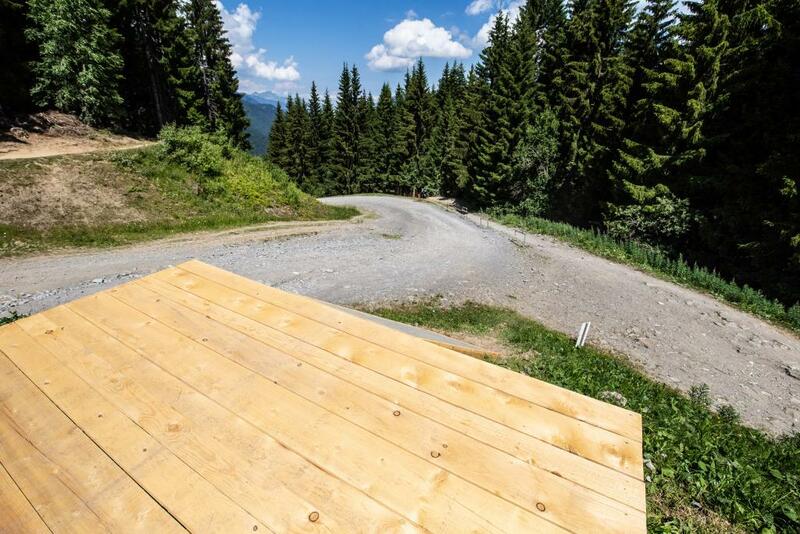 The Finish - Could we see a whole different kind of podium here next summer? Will this be the test for something even bigger in the years to come? Lets see how this one goes! 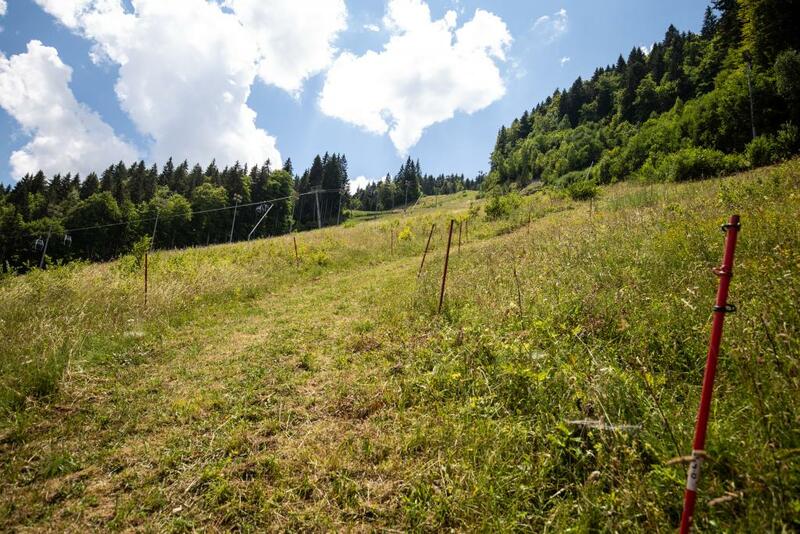 Morzine WorldCup 2020 we hear you say! This event has several title sponsors, none bigger than Santa Cruz Bicycles, their European Headquarters on Rue de Bourg is well worth a visit! For last minute 2018 summer bookings check out our partner hotels below! 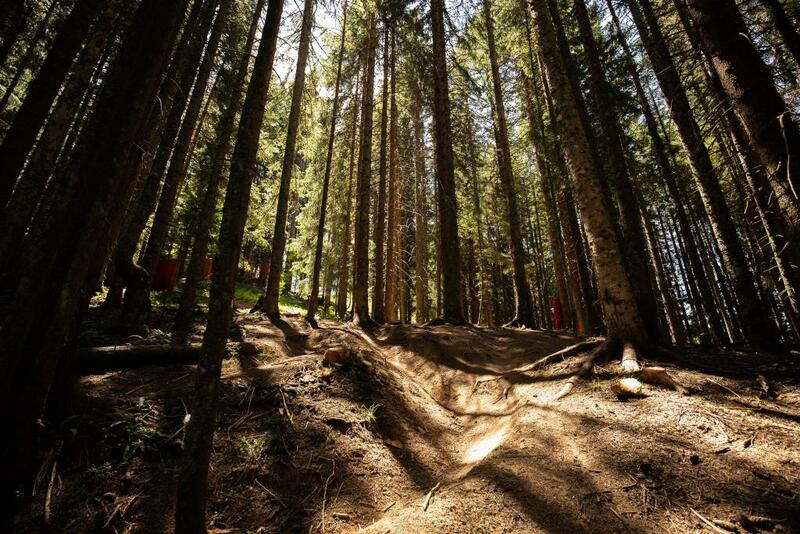 Don't miss out next year on our Riders Week package in Morzine!